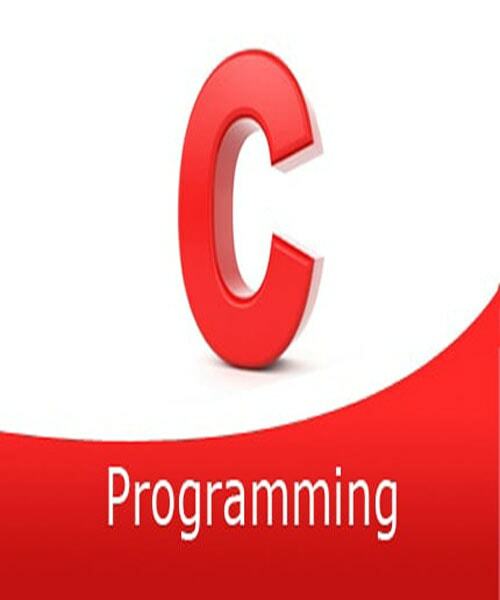 Our hands on C programming course provides a comprehensive knowledge to the ANSI C language, with emphasizing portability and structured design issues. Students and professionals are introduced to all major language elements including data types, flow control, and user defined and system defined functions and standard function libraries. Thorough coverage of topics of string and characters are given here so that professionals can enjoy this and learn this by hands on practice. Dynamic memory allocation, standard I/O, macro definition, and the C runtime library are covered so that generic programming can be done in C. The course explains the use of aggregate structures, unions, and pointers in initial stages so the students can practice extensively in the hands on laboratories. Structured and unstructured programming constructs and user defined as well system defined functions are also covered. Maximum emphasis is given to the processing of command line arguments and environment variables so that students and professionals will be able to write flexible, user-friendly programs. Coracle C Training workshop module also includes coverage of portability tips drawn from experienced programmers working in production environments. Comprehensive hands on practice exercises are integrated throughout to reinforce learning and development of real competency. Debugging is also one of the important parts for software development, and it is also covered in Coracle C training workshop module. Understanding of fundamental concepts such as algorithm and flowchart creation with editor, and Operating System knowledge. "I enjoyed the training module of C by the Coracle Classes, finally with help of this module I made up my skills in the programming, and in 2012 I get selected in Infosys. I appreciate the Coracle Trainers who make such a nice module which is helping me a lot in my career. "Excellent Coracle C training workshop – a nice combination of labs and instructions."